Bed down beside a World Wonder at this palatial desert resort nestled on the gates to the ancient city of Petra. With five star service, a Wellness Centre complete with outdoor pool, and awe-inspiring views over the Great Rift Valley, you’ll have everything you need for a princely desert escape. As far as truly extraordinary locations go, we’d say having one of the Seven Wonders of the World on your doorstep is pretty special. Make time to watch the glorious sunsets sink into the amber-hued sands from the lush Al Ghadeer Roof Garden and you’ll feel a million miles from the hustle and bustle of home. This desert bolthole has 183 contemporary rooms decorated with Middle Eastern textures and patterns and peppered with hand-crafted wooden touches. But if it’s the money-shot views of Petra you’re after, then there’s only one choice—the magnificent Royal Suite comes with its own private terrace and the living space that makes the most of the jaw-dropping setting outside. 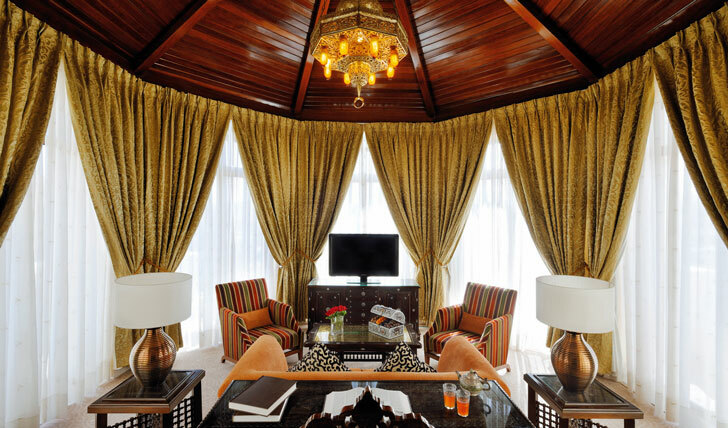 Its proximity to the gates of Petra is what caught our attention, but what held it was the hotel’s air of luxury. 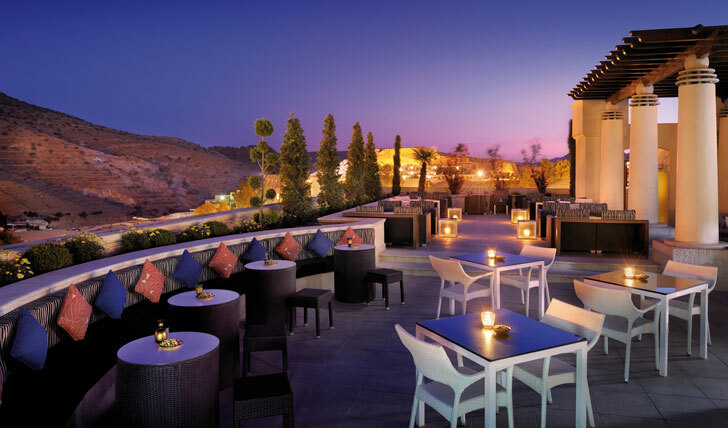 Whether enjoying afternoon tea in the Lawrence of Arabia-inspired tea room, sundowners in the stunning Al Ghadeer Roof Garden or the large choice of traditional Middle Eastern cuisine to dive into—this is a true desert oasis.